The RIBA Windows project pairs exceptional RIBA architects with retailers to create engaging architectural installations in shop windows along Regent Street. 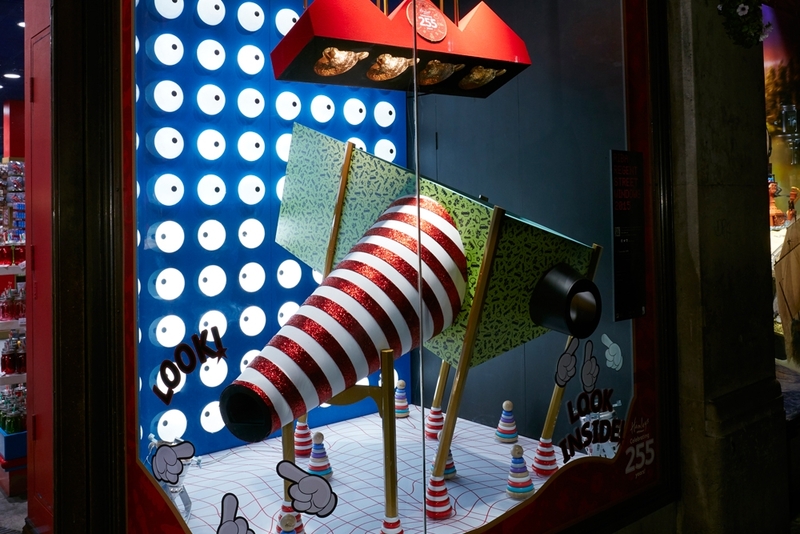 This year, Propability worked to recreate concepts from the award winning architecture practise Office S and M to produce a special window for Hamleys which celebrated the stores 255th anniversary. Hamleys Optical Amusements holds a series of optical illusions, anamorphic distortions and an Ames room that children can peer into and view through small peep-holes. It involved hours of careful planning, creating the Ames room required Propability craftsmen to really work on the design to ensure the illusions worked. Constructed of MDF, Timber and Foamex the install required absolute precision and along with careful troubleshooting to ensure that the concept was impactful as well as functional.